You know I’ve written against Minecraft in the near-past (and I promise I was being gentle in presenting my argument) and what follows, though only notes toward something, builds a bit upon it. I don’t have time to expand on this, but I think that Orwell, by proposing a dystopia based on the control of language, offered an insight about “directional control” of behavior; but I would argue that he was not in a position to realize that this would not be accomplished by language manipulation. Instead, the control would, and has, come by image manipulation. For decades now we have been training minds to respond strongly and exclusively to the signifiers presented via media images. A consequence of this might be shown to be that the “national” newspaper, USA Today, offers most of its “interest” by graphs and pictures. My argument about Minecraft comes out of this. You may be able to “create” your own world but that world is constrained and limited to image manipulation and those images are constrained by the image-creating capacity of the medium. Social managers must see this as incredibly powerful. To control humans is to direct/prescribe behavior. Command and Control it has been called in other contexts. The Human is likely most successful due to its craziness…that is the brains can respond in ANY way to ANYthing. We control that randomness via context limitation (schools, for example, or laws). We must LIMIT language. The best way to do that is, a la, Babel, but more powerfully, not to confuse tongues, but to render them mute via IMAGE control. In this way the IMAGE is first and we attach words (if we do) to that image and so narrow the definition of the word to that IMAGE giving it a one-to-one correlation. Now, you know that words are only defined by more words…That there are no “definitions,” just more words. THAT is what makes the human dangerous and crazy and “innovative” in a powerful way. Again, to point to the Babel story, that is what threatened the Elohim and had to be undermined. This is what is being eradicated by things like Minecraft in the most seemingly innocuous manner. 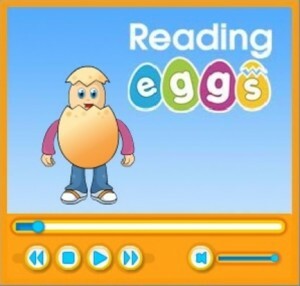 And, I would have to imagine the same can be said of the “Reading Eggs” program on offer in our school systems. Why do we complain about dumb, distracted children? That’s how we raise them! Also, why do you think there so much “outsourcing” to robots? *For more on this read anything by Morse Peckham. I’m more than happy to scan and send you pdf copies of his essays. Just let me know. Is There a More Bigoted State in the US than Arizona? I have never heard of Reading Eggs or Morse Peckham. Something to think about–controlling language with the computer substitute. I would be interested in reading select pdf essays. Predictable. It is a word that fills me with both anticipation and dread–I tend to be a bit of a control freak so some predictability in my life is comforting. I am discomfited however when Amazon recommends based on my previous purchases and interests. It is even worse when google and Facebook do it. The sidebar that seems to track my interest disturbs me in its occasional stunning accuracy as well as its occasional seemingly random additions. Rather, what is meant is “randomness.” And humans are culturally framed for “predictability.” This is why we “fear” and revere the outlaw.